Friday 16 November 2018, 7:30pm for 8:00pm start. The Supporters Society will be holding a Quiz Night in the Clubhouse. Teams of up to 8 people can be entered by e-mailing btsuppsociety@yahoo.com or by speaking with a BTSS board member. Entry is £5 per person which can be paid on the night. Table snacks are included and a raffle will also be held. Coaches are being planned for the next few away matches. To register your interest e-mail btsstravel@gmail.com, add your name to the list in the club shop or send a direct message via Twitter – @BTSS_AwayTravel. All under 16’s must be accompanied by an adult. The coaches will leave Blunts Wall Road at 9:45am and depart from Chesterfield at 5:10pm. Seats are priced at £25 for adults and £15 for Under 16’s. We are asking supporters to purchase coach tickets in advance. This can be done with the BTSS in the clubhouse when Town play East Thurrock on Tuesday. Tickets are non-refundable unless we can sell your seat on. This coach will leave Blunts Wall Road at 11:30am and depart Hungerford at 5:10pm. Seats are priced at £22* Adults, £10 Under 16’s (*Maximum price. Cost will reduce with full coach). 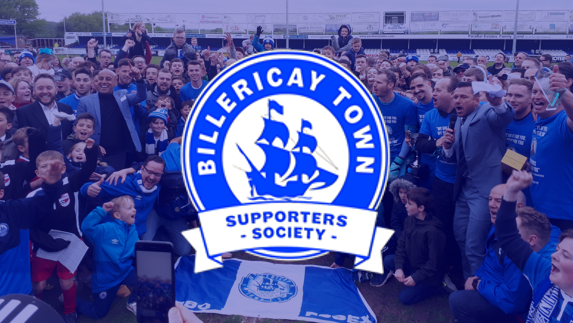 Any fans travelling to the match by train will need to be aware that a replacement bus service will be running from Billericay to Newbury Park. The coach will leave Blunts Wall Road at 1:30pm and depart Chelmsford at 5:10pm. Seats are priced at £10 Adults, £5 Under 16’s. 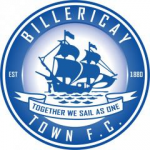 Tickets can be bought via Chelmsford City’s online ticket site. This uses the same system as The Blues but you will need to register first.